The prevalence of anorexia nervosa in Western countries is 0.1% to 5.7 % in females (1). Worldwide, the prevalence of this eating disorder is 0.3% in young women, and it is more than twice as common in teenage girls. While the average age of onset of anorexia is 15 years, 80%-90% of the affected individuals are females (2). If you know someone who eats very less, skips meals often, purges in secret right after a meal, or has lost a significant amount of weight in a very short period, chances are that they could be anorexic. This post is especially for those who are suffering from anorexia or know of others suffering from this eating disorder. Keep reading to know the available treatment options for anorexia. Anorexia nervosa, also referred to as anorexia, is an eating disorder. It is characterized by abnormally low body weight and an intense fear of weight gain. These feelings may further be accompanied by a distorted perception revolving around weight. Individuals affected by anorexia severely restrict the amount of food they eat. This could be either to continue with their weight loss or to prevent gaining any extra kilos. In some cases, the individuals may also control their calorie intake by vomiting post eating, exercising intensively, or misusing laxatives for this purpose (2). While anorexia is not a mental health disorder, some individuals may develop this life-threatening behavior as a way to cope with emotional problems. It can also affect pregnancies. Those still battling anorexia may exhibit deterioration in their symptoms whereas those who had been treated may have a remission. Those who had mild symptoms tend to have uncomplicated pregnancies (3). The signs and symptoms of anorexia can be associated with starvation and can also be a result of emotional and behavioral issues. Some individuals affected by anorexia may binge eat and purge like those affected by bulimia. However, the former lot is usually underweight whereas the latter lot is often normal to overweight. While the exact cause of this eating disorder is not known, the following are some of the most common factors that may be involved in triggering anorexia. Anorexia may be triggered by a combination of biological, psychological, and environmental factors (2). Biological – Some genes could be involved in causing anorexia. Environmental – Peer pressure and one’s surrounding culture that associates beauty with thinness can also further fuel the condition. Dieting or starving yourself can make it difficult to develop normal eating habits. Age – It is more common in teenage girls and women, but boys and men can also be at risk. Some of you may confuse anorexia with dieting. However, that should not be the case as both are completely different. The following are some of the major differences between the two. Anorexic individuals will restrict their diet to just a few hundred calories daily. However, dieting is usually aimed at getting a healthier body by consuming moderate amounts of healthy food without starving yourself. Those dieting will get all the necessary calories – but from healthy foods. Healthy dieting does not involve crash dieting. Instead, a person will lose weight gradually and will not be underweight or starved. Dieting does not involve starving. It mainly aims at substituting unhealthy foods with healthy ones. The food eaten is not purged. Those dieting are most often than not hardly obsessed with their weight. They eat healthy to feel healthy. If you suspect that you or someone you know is suffering from anorexia, don’t shy away from seeking help. Your doctor may carry out various tests and exams to pinpoint the cause of your symptoms and rule out other medical causes for weight loss (4). In case your tests prove that you are suffering from anorexia, your doctor may prescribe the following medical treatments to help you recover from the eating disorder successfully. 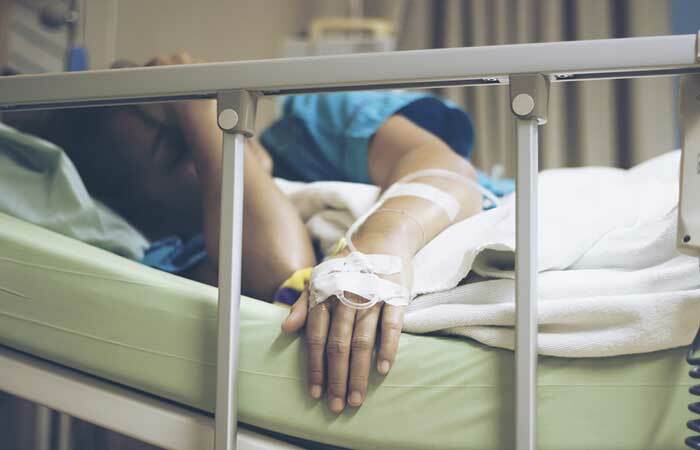 Hospitalization – If your condition is critical, you may have to be hospitalized immediately. This usually happens when there are issues with your heart rhythm, or you are dehydrated or suffer from severe malnutrition. Tube Feeding And Frequent Monitoring – Your symptoms and vital signs like your hydration levels and electrolytes may need to be monitored frequently. In serious cases, patients may also need feeding via a tube. A healthy diet that is provided by a dietitian to help you get back to normal eating habits. Psychotherapy – Family-based, group, and individual therapy that will help an individual to make healthy food choices. 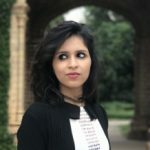 Medications – While there is no particular medication for anorexia, the affected individuals may be given antidepressants and psychiatric medications to treat other symptoms like depression and anxiety. Following a healthy diet is very necessary to treat anorexia. However, since anorexia is a serious condition, do not self-medicate. Instead, consult a dietitian who may provide diet tips to help you get back to a normal eating pattern. When it comes to restoring the lost weight, anorexic individuals should follow a specific meal plan provided by a professional dietitian. However, some affected individuals could be at risk of the refeeding syndrome, where one’s body may react negatively to a sudden increase in their food intake. In such a scenario, a medical team that consists of a doctor and a Registered Dietitian Nutritionist (RDN) should calculate, monitor, and increase the affected individual’s food and fluid intake during the refeeding phase. For those who are not at risk of the refeeding syndrome, it is not uncommon for their calorie needs to reach 3000-5000 calories daily. This is especially the case for affected adolescents who are still growing and young. Such individuals can safely start by eating 2000-2500 calories per day and increase their calorie intake to 3000-5000 daily calories. Your aim is to reach a diet where 50-60% of the total calories come from healthy carbohydrates, 15-20% from protein, and 30-40% from healthy fats. Healthy carbohydrates include vegetables, whole fruits, legumes, nuts, seeds, and whole grains. Protein-rich foods include seafood, dairy, eggs, oats, and soy. You can get healthy fats from avocados, dark chocolate, whole eggs, fatty fish, nuts, and olive oil. Here are a few tips to manage anorexia. Stick to your treatment plan by not missing any therapy sessions and not skipping meals. Follow a healthy diet and get all the important nutrients that you lack. Do not isolate yourself from those who care. Instead, seek support from family and friends. Resist the urge to check your body weight or look in the mirror too frequently. Avoid fad or crash diets. Practice yoga to relieve symptoms of stress and anxiety. Work on the root of the issue. These basic tips can help your treatment plan work better and also reduce the chances of relapse to a great extent. Unfortunately, those suffering from eating disorders like anorexia tend to deny the need for treatment initially. This could be because they continue to fear weight gain. Hence, as friends and family, it is up to us to keep a close eye on such individuals while also providing support and helping in their recovery. Hope this article addressed all your doubts and queries regarding anorexia. For any further questions, ping us in the comment box below. How to be anorexic and exercise? Individuals affected by anorexia can exercise if they have already begun treatment successfully as it will not interfere with their weight restoration. However, mild to moderate intensity exercises are recommended as compared to high-intensity workouts. When to see a doctor for anorexia? If the affected individual denies treatment, it is recommended that you coax them to talk to a doctor. Anorexia needs to be treated medically. What is the BMI for anorexia? Adults whose BMI is below 17.5 are anorexic. This BMI can further drop to 16 and 15 in those suffering from moderate to severe cases of anorexia. What happens if anorexia is not treated? If left untreated, anorexia can lead to starvation and malnutrition. In the long run, this can cause your bones to lose density (osteoporosis) and damage your kidneys and may even cause heart problems in some people. In rare and severe cases, it can also cause sudden death. Anorexia usually starts during puberty. It can cause one to restrict food to such an extent that he/she loses weight significantly. It is often caused by an intense fear of gaining weight. 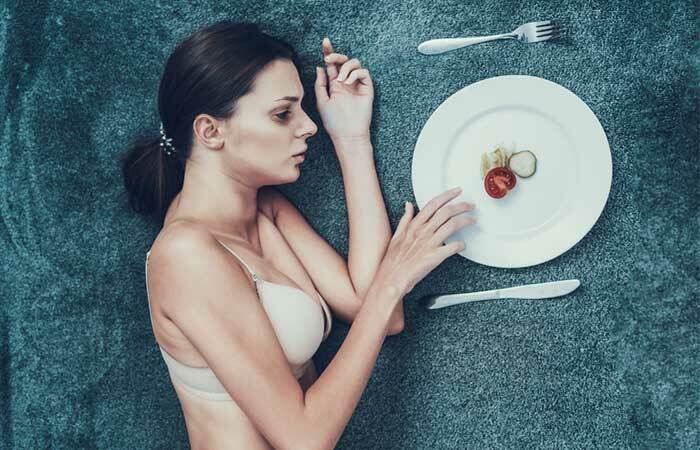 In the case of anorexia, individuals starve and lose 15% or more of their ideal body weight, whereas, in the case of bulimia, individuals tend to binge eat and purge. Individuals affected by bulimia also often weigh normal or may even be slightly overweight. “Prevalence of Eating Disorders: A Comparison of Western and Non-Western Countries” Medscape General Medicine, US National Library of Medicine. “Anorexia Nervosa” The BMJ, US National Library of Medicine. “Anorexia Nervosa in Pregnancy” The Obstetrician and Gynaecologist, US National Library of Medicine. “Anorexia Nervosa” StatPearls, US National Library of Medicine.